The 4-year anniversary of the delightful Super Smash Bros. for 3DS just recently flew by last month, and many seemed to overlook it quite like many overlook the game as a whole. It usually seems to be a forgotten entry into the series and left in the dark by its big brother, Super Smash Bros for Wii U.
I mean, the Wii U version is the superior title: no questions asked. However, there are still several aspects that the 3DS version can trickle on down to rest of the series, just like how a parent will learn from raising their first child. 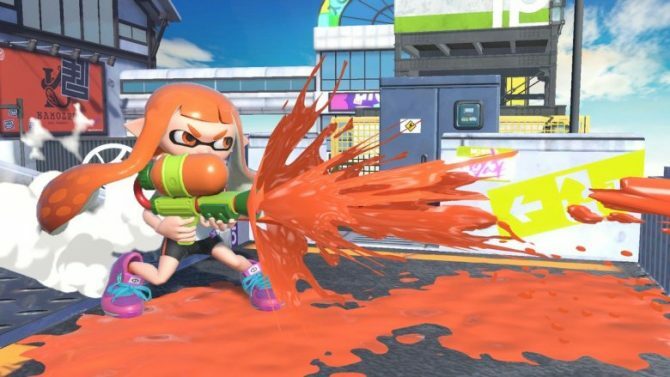 We gave the game a 9 back when it released, so there are definitely many things the game got right that can be passed on (and things that it didn’t) that can be molded into something superior, especially with the upcoming release of Super Smash Bros. Ultimate this December. Let’s start off with the main element that Ultimate and 3DS will have in common: portability. Each system allows the player to take their Smash experience wherever they would like. This sounds like a wonderful trait, which it is, but portable systems can sometimes lead to some issues on bigger titles such as this one. The biggest problem with Super Smash Bros. for 3DS was the amount of screen real estate that was available. The 2012 handheld did not have that big of a screen to work with; the later-released 3DS XL helped a bit, but ultimately, you never had enough screen to look at when playing on the larger maps. Now, the Switch already has a much larger screen to play on, so you would think that this issue can be put to rest. The original 3DS has a 3.53-inch screen, the larger XL version has a 4.88-inch screen, and the Switch comes in with a 6.2-inch screen: almost a full inch and a half bigger than the 3DS XL. Just because you have more screen to work with doesn’t mean the problem is solved though. While the thought of being huddled around a Switch on a rooftop, playing with your buddies just like Karen did way back in the initial reveal trailer for the console sounds intriguing, it might not be as fun if Nintendo hasn’t completely remedied the issue. Mostly you will run into this problem on the bigger maps on the 3DS while playing a 4-player match. The game tries to zoom in on the action to give a better viewpoint, and this works well when only two characters are on screen, but when 4 players are scattered across the map, then the camera zooms out, ultimately leading to you struggling to follow your character. I wouldn’t be worried about this problem if Ultimate uses the same map list. The maps might seem big on the 3DS screen, but the bigger Switch screen would help. However, Ultimate consists of many larger maps, some much bigger than any level in 3DS. You think trying to follow your character on a 3DS screen is hard, what about playing Hyrule Temple on the Switch? Or New Pork City? Gaur Plain? I don’t think that extra inch and a half isn’t going to help all that much. One could argue that you can just not pick these larger maps, and that is most likely what is going to happen. It would be sad that some maps might be slightly less enjoyable when played in handheld mode, but hopefully Nintendo is able to find a way around this when account for the game being played in portable mode. Other than the small screen on the 3DS, there was another issue many fans had with the entry into the long-running series with Smash Run, which is a game mode exclusive to the 3DS version. In the mode, players would explore a massive labyrinth to collect power-ups to increase stats, coins, custom specials, and more abilities. 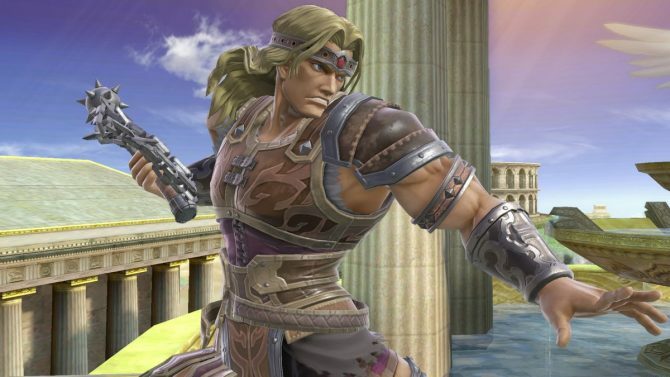 After the five minutes of exploration, players will then battle in either a normal Smash fight or race against other opponents. On paper, it sounds interesting. However, exploration was a long, tedious task, and the battle after was extremely short. Portables are a perfect opportunity to provide short, rapid-fire experiences. Yes, you can always play a normal round of Smash, but that can always get stale; players should have some variety to choose from. This all leads me to a mysterious new mode in Super Smash Bros. Ultimate. Nintendo hasn’t officially revealed this game mode yet, and fans have done some very thorough research to find out that it might be titled “Spirits.” This might also be in line with characters getting brutally murdered in all the trailers (RIP, Luigi). Nobody is exactly sure what this game mode is, but I hope that Nintendo learns from what didn’t work with Smash Run and applies that to a more involved experience with this new mode. Hopefully, Nintendo can use what the game does well to its benefit, and so far Super Smash Bros. Ultimate is not lacking when it comes to content. Whether it is a grander experience like the ambitious, story-driven Subspace Emissary from Super Smash Bros. Brawl, it needs to be able to be consumed in smaller play sessions. Just like finding Shrines in The Legend of Zelda: Breath of the Wild or collecting Moons in Super Mario Odyssey, “Spirits” can still provide that type of grand experience, but one that can be played in short sessions or long playthroughs. Super Smash Bros Ultimate is so close I can almost smell it. Or even taste it (don’t taste the Switch cartridges though, because they are awful). From what we’ve seen from the game so far, Ultimate is leading up to be the most ambitious entry in the series yet. Hopefully, Nintendo takes the opportunity to fix some issues that were on the 3DS version of the game (and maybe integrate some of its best features), but even if they don’t, I am just glad to get Smash on the Switch. Super Smash Bros. Ultimate will release for Nintendo Switch on December 7th, 2018. If you have yet to pre-order the game, you can head over to Amazon and grab it now before its release this holiday season.